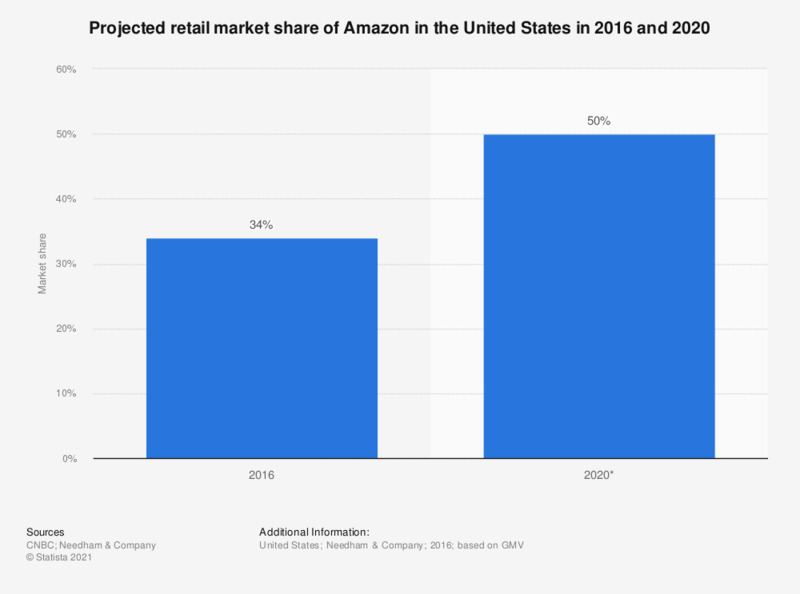 This statistic presents a projection of Amazon's retail market share in the United States in 2016 and 2020, based on GMV. In 2016, the online retail platform was estimated to account for 34 percent of the U.S. retail GMV. This share is set to increase to 50 percent in 2020.